A QR (Quick Response) Code is a barcode embedded with a website URL that works with any smartphone. Just take a picture of the barcode and your phone will automatically open the website. To create a QR Code for your sign free of charge, enter the website URL, select a size, then click “Generate QR Code." To save your QR Code, drag it to your desktop or right-click to save it as a .png file in a Documents folder. 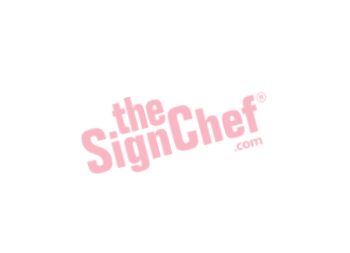 Then send it to our Sign Chef who will incorporate it into your sign design free of charge. To use your QR Code, your customers must have a smartphone. Newer smartphones come equipped with a QR Code reader. Older smartphone users might need to download an easy-to-use app such as “NeoReader,” "QR Reader” or "QR App” free of charge.